Modern Egypt’s ancient roots can be traced back 5,000+ years. Egyptian hieroglyphics confirm the history-documenting, story-telling commitments and propensities of its speakers. The location of the ancient world’s most comprehensive library in Alexandria, Egypt, gives evidence of the advanced culture’s commitment to facts. 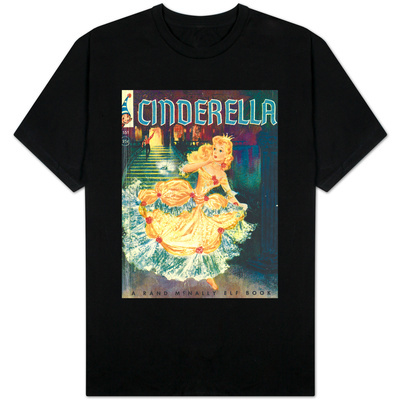 The preservation of one of the world’s oldest known Cinderella stories is an example of the ancient culture’s respect for aesthetics. • Egypt’s Cinderella story juxtaposes fable and fact to introduce fairy tale as history -- and vice versa -- within Egypt’s folkloric literature. • It makes unforgettable impacts in recording the marriage of Pharaoh Amasis (Dynasty XXVI, 570 – 526 B.C. ), for love -- not by pre-arrangement -- with fable-teller Aesop’s friend, Rhodopis of the rose-red slippers. The recipient in a Nile River villa at Naucratis of slippers rose-reddened by iron being mixed into gold. Charaxus, brother of lyric poet Sappho (640? – 570? B.C.E.) of the northeast Aegean Sea island of Lesbos. fragmentary statue head of Pharaoh Amasis: real-life pharaoh of "The Egyptian Cinderella"
Pharaoh Amasis becomes aware of Rhodopis’s existence during a visit to Memphis. He dons the ear-pinching, heavy-weighted, red-and-white crown of the Two Egypts. He endures a meet-and-greet while serving as supreme justice to his people’s complaints. A bird concurrently interrupts Rhodopis’s admiration of slippers gifted by Charaxus. The avian identity traditionally is given as an eagle (Accipitridae family) although a lanner (Falco biarmicus) or peregrine (Falco peregrinus) falcon -- as the animal manifestation of Horus, god of the reigning pharaoh and of the skies -- may be a possibility with a more explainable, understandable impact upon Amasis’s subsequent decision-making. Whatever the genus, the raptor leaves with one of Rhodopis’s slippers, which then is dropped far away into Amasis’s lap. Pith (tissue), visible in cross section of stem of papyrus plant (Cyperus papyrus), is used for making papyrus paper. Climo, Shirley. 1989. 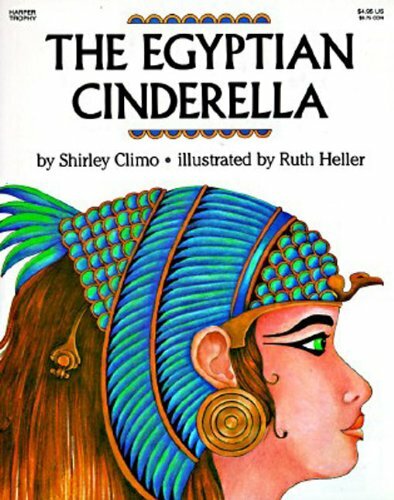 The Egyptian Cinderella. Illustrated by Ruth Heller. New York City, NY: HarperCollins Publishers. 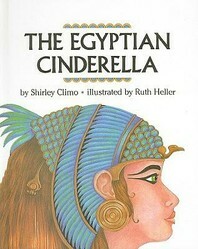 “The Girl with the Rose Red Slippers.” Ancient Egypt: The Mythology > The Myths. Retrieved December 2014.